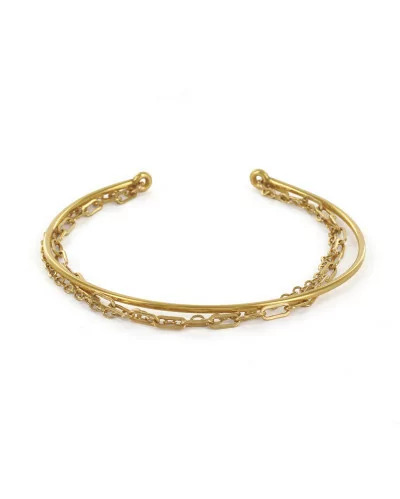 Lara Bracelet is made in brass gold plated. The design of this jewel made with little drops is very elegant and delicate. 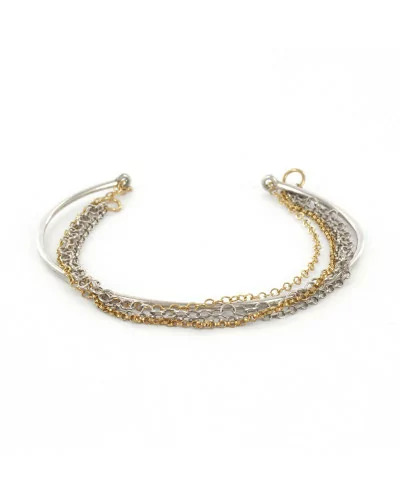 This bracelet is available in silver or vermeil, feel free to be yourself ! 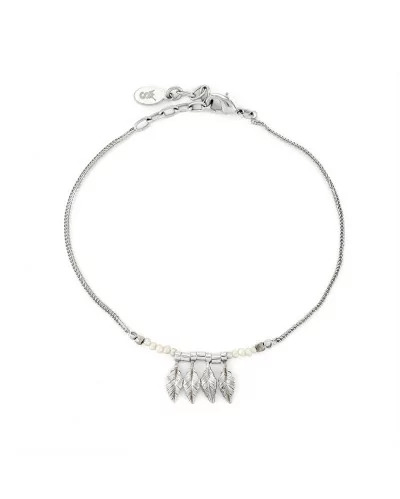 Stalactite is a french brand making its jewellery in Paris. 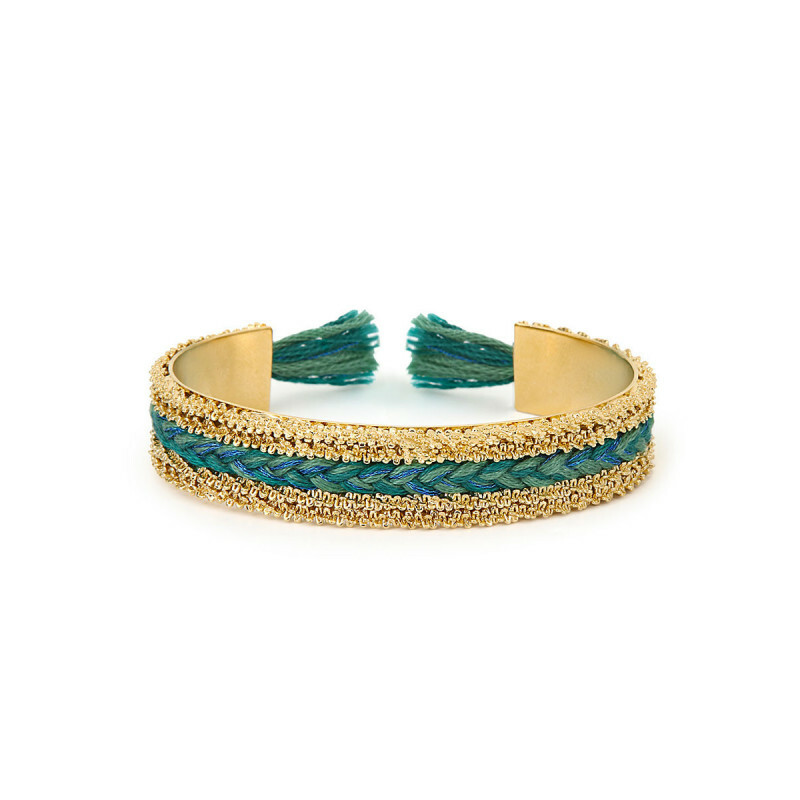 THE perfect cuff! Supple and radiant, your wrist will be ever more beautiful! This bracelet can be adjusted easily thanks to its adjustable fastener and is available in Solid Silver, Pink Gold and Ruthenium. 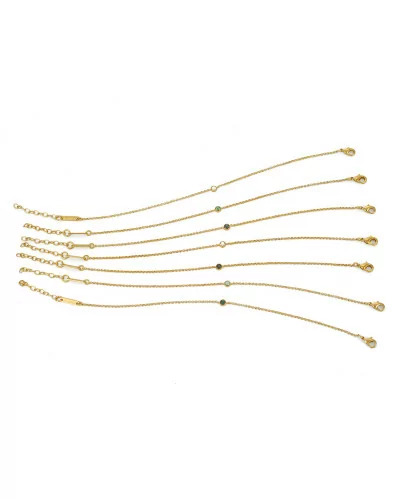 The Baggia bracelet and its 5 little precious stones will not leave your wrist ! We love them! 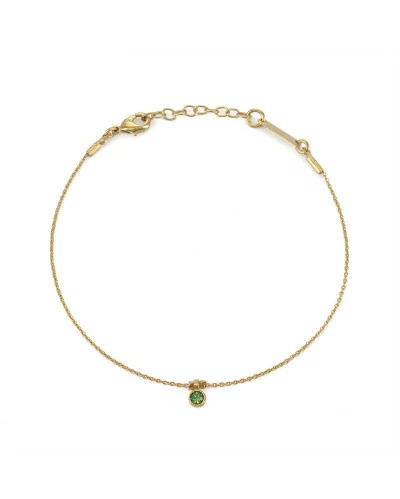 Silver plated 14-carats Gold True precious stones : Emeralds, Ruby, Sapphires, Tourmalines, Spinelles, Zircons and Real Pearls Adjustable size : 15-17 cm Find too the Baggia necklaces! This bracelet shows the precision made by Hanka_ïn designer's hands. 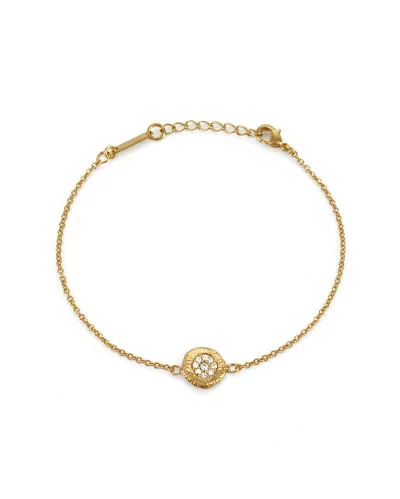 Galet bracelet from Hope collection is composed by a circle with tiny white zirconiums inside. 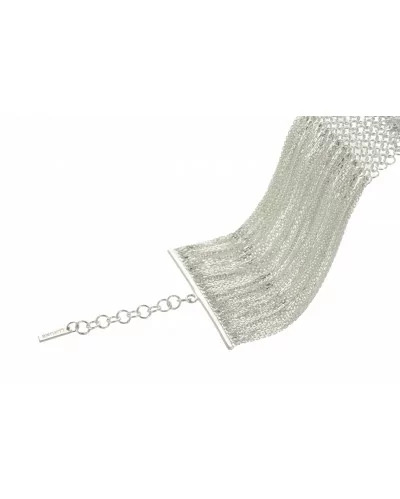 This bracelet can light by itself or with a bangle or a string bracelet. Brass gold plated 24 carats (3 microns). White zirconiums. Adjustable size: 16-18cm. Handmade in Paris. 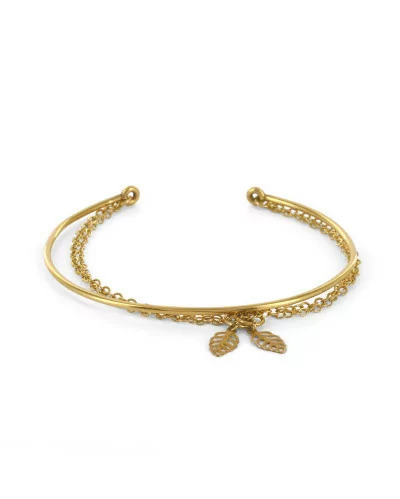 Delicate fern leaf which sits in-line on a fine bracelet chain. 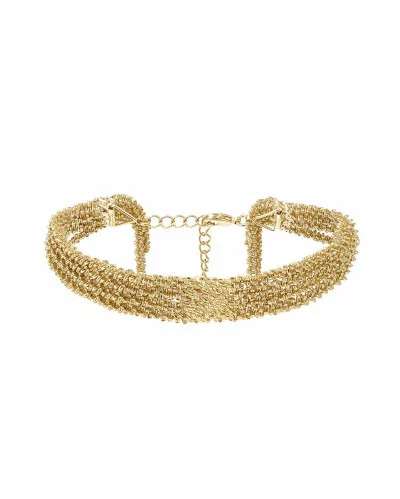 This beautiful bracelet is in solid silver gold plated 22 carats. 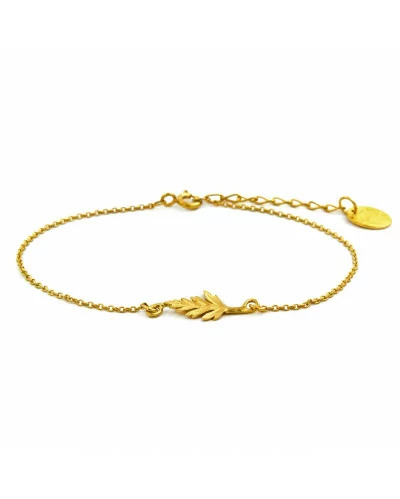 The leaf is about 2 cm and the bracelet is about 17/18 cm. Handmade in London by Alex Monroe. 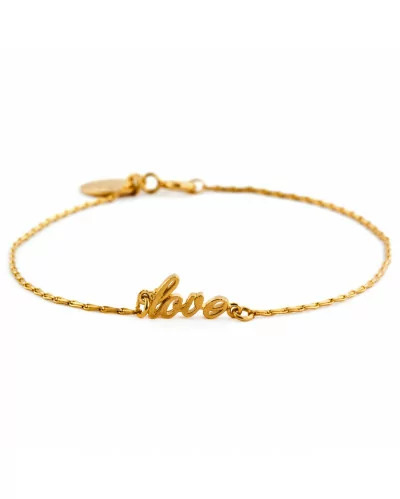 Written in delicate script lettering, the word 'Love' sits in-line on this hayseed chain bracelet. 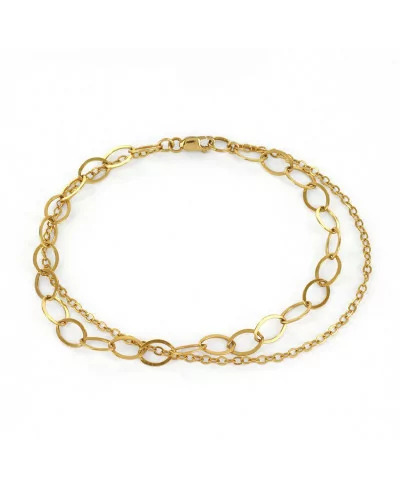 This beautiful bracelet is available in solid silver gold plated 22 carats. Letters measure about 0,6 cm and the bracelet is about 17,5 cm. 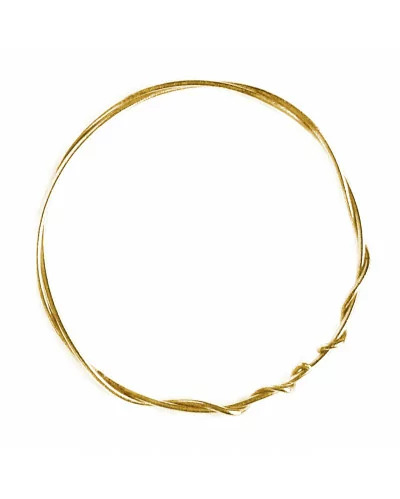 Alex Monroe has designed a lightly textured vine, twists around itself to form a fine bangle. 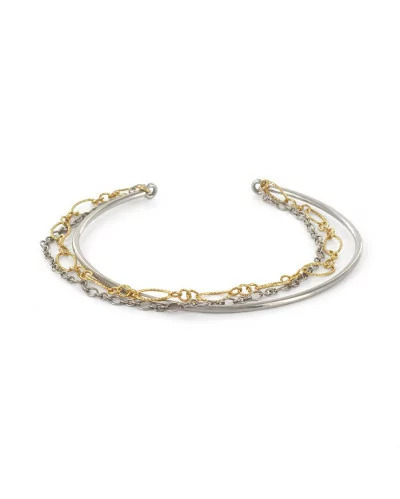 This subtle and poetic bracelet is available in solid silver and in gold plated 22 carats. It measures approximatively 6,35 in diameter. Handmade in London. 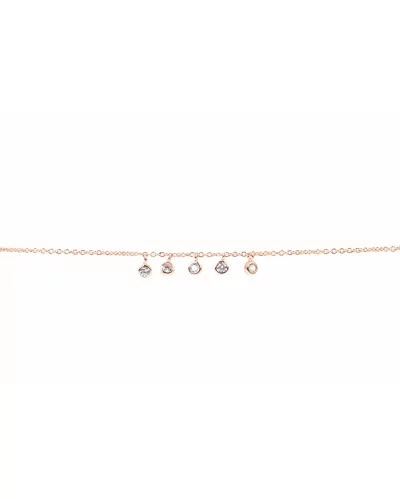 Last one of the Hanka_ïn collection, the Drop Solitaire bracelet. 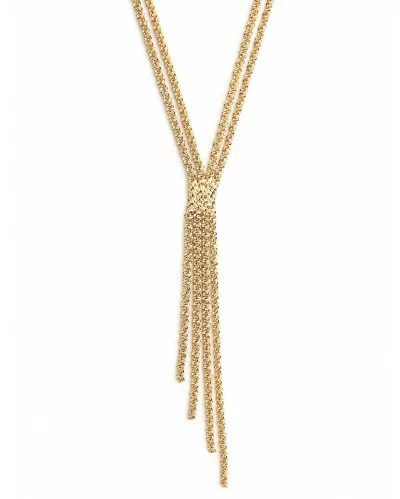 This crystal has soft and natural shades and is set into a thin golden chain. All you have to do is to decide what colours you are going to pick up! 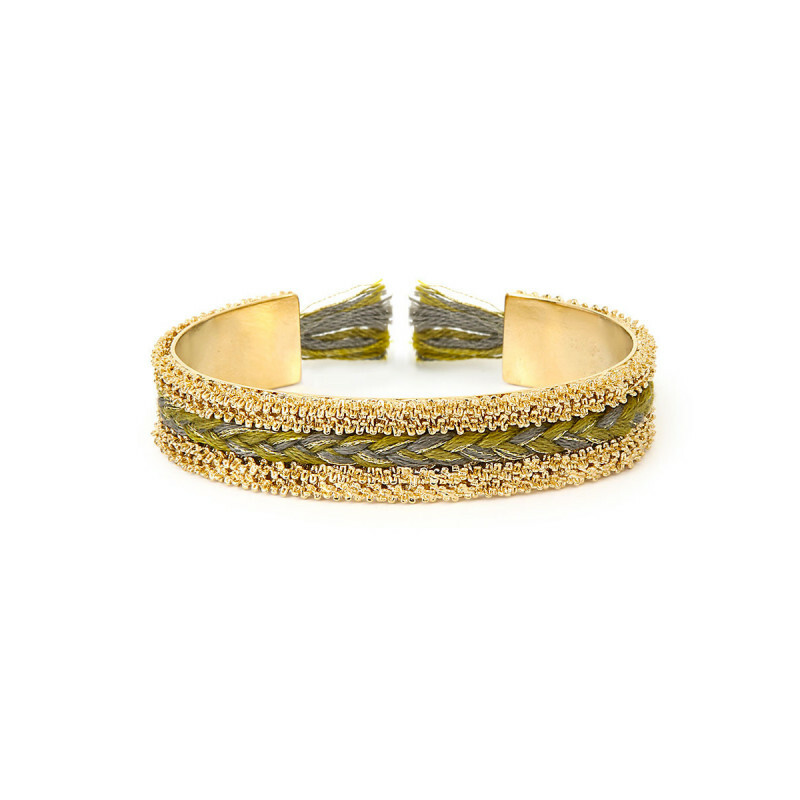 You can wear it alone or with an Eternity or Glint bangle. Brass gold plated 24 carats (3 microns). Swarovski crystal. Adjustable size: 16-18cm. 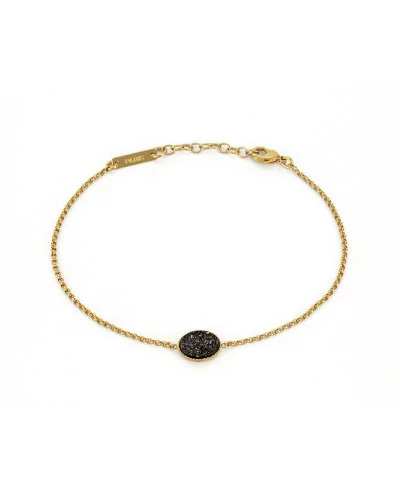 Could anything be more elegant than this Druzy in your wrist? 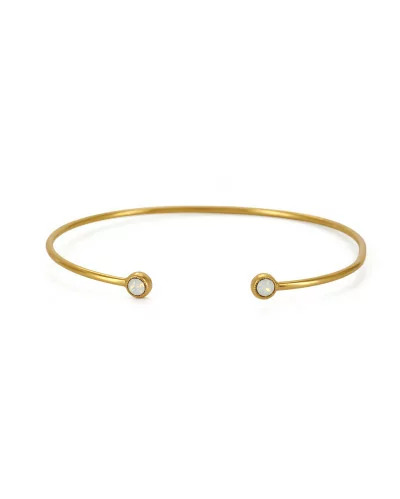 Find out the new Glint bracelet and its oval stone composed by tiny quartz needles attracting the light. You will love the black versant, intense and elegant, or the platinium one more shiny. Brass gold plated 24 carats (3 microns). Black or platinium Druzy. Adjustable size: 16-18cm. Handmade. Here you have the circle variant of the Glint bracelet. 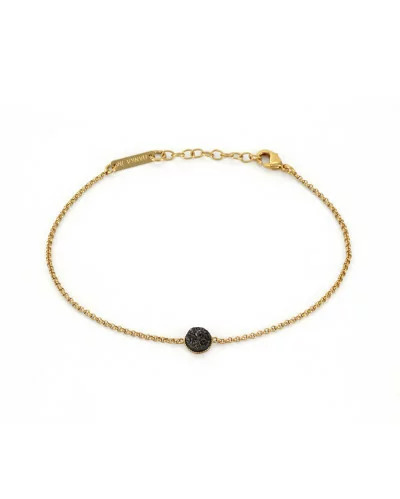 A small Druzy (quartz crystals pile) set in a thin golden chain. 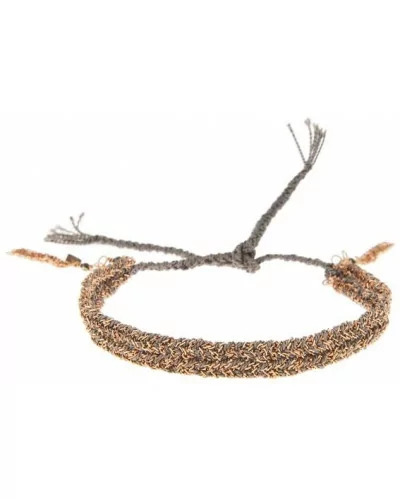 This bracelet exists in black or platinium variant. Your mission is to chose which one will be yours! Brass gold plated 24 carats (3 microns). Black or platinium druzy. Adjustable size: 16-18cm. Handmade. 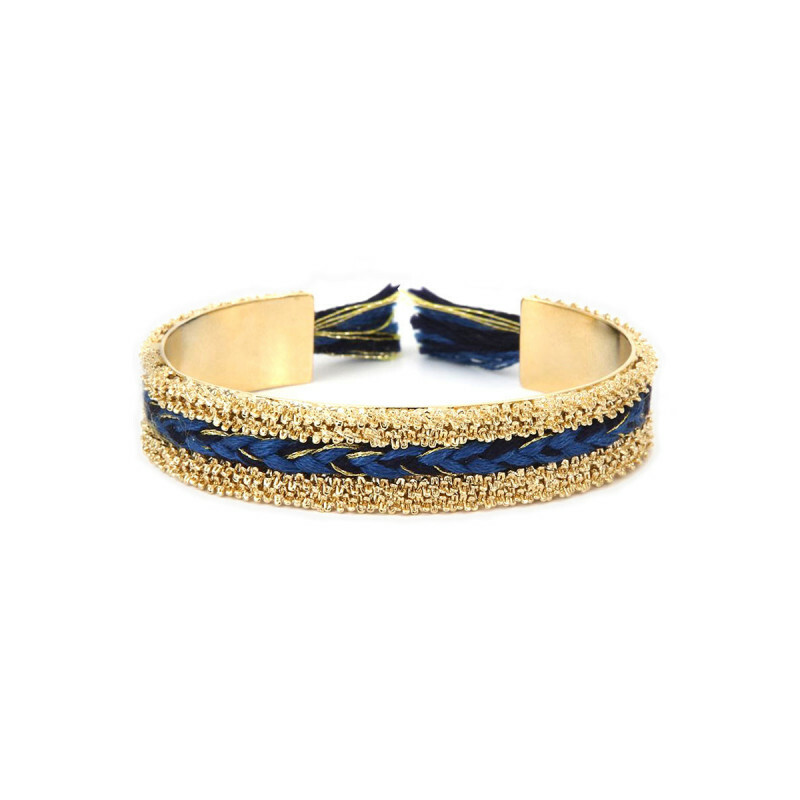 This bangle is perfect for summer. Its bright crystal colours will definitely tempt you. We can wear it on its own or with others fine bracelets. Brass gold plated 24 carats (3 microns). Swarovski crystals. Adjustable size. Handmade in Paris. 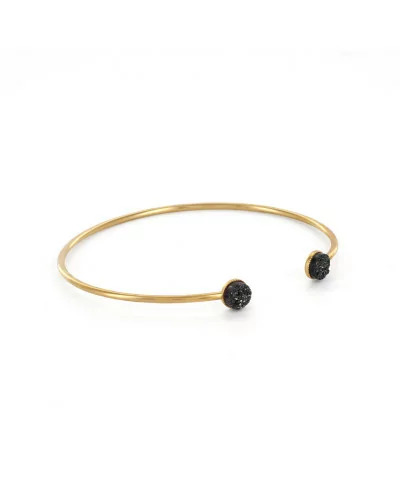 Find out the stunning Druzy stones on this finely golden bangle. 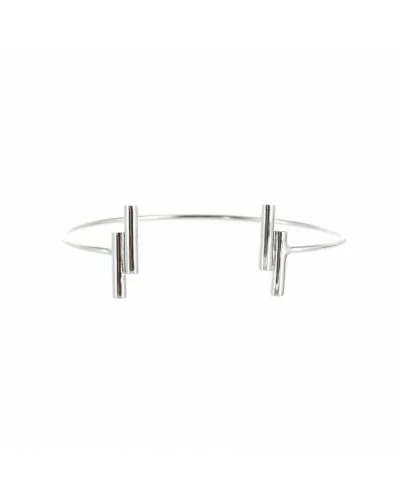 The Glint bangle targets young women who have a rock style and are elegant and feminine. Brass gold plated 24 carats (3 microns). Black or platinium Druzy. Adjustable size. Handmade. 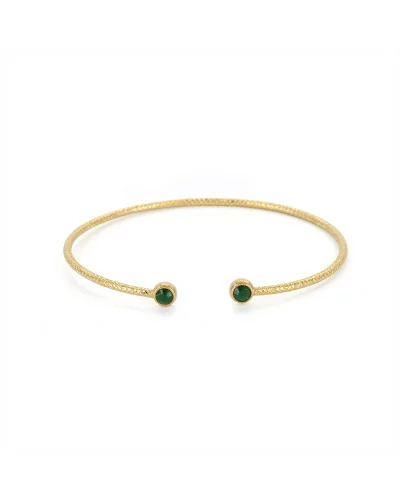 Subtle and coloured, the Solitaire bracelet will be the perfect gift to offer to a young lady. 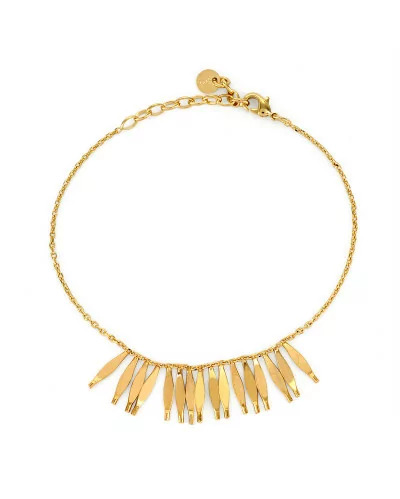 A small touch of colour and light with its mineral crystal set in a fine golden chain. Brass gold plated 24 carats (3 microns). Swarovski crystal. Adjustable size : 16-18cm. Handmade. 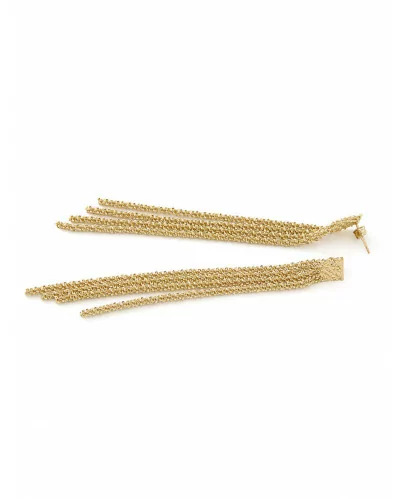 One of the most popular bracelet from Stalactite brand ; the bracelet called Rosee is made in brass silver plated 15 microns. 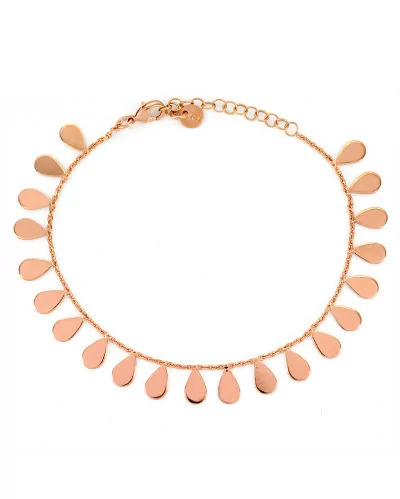 You can wear it with a black dress to become the most elegant person of the night or easily wear it with a casual outfit. 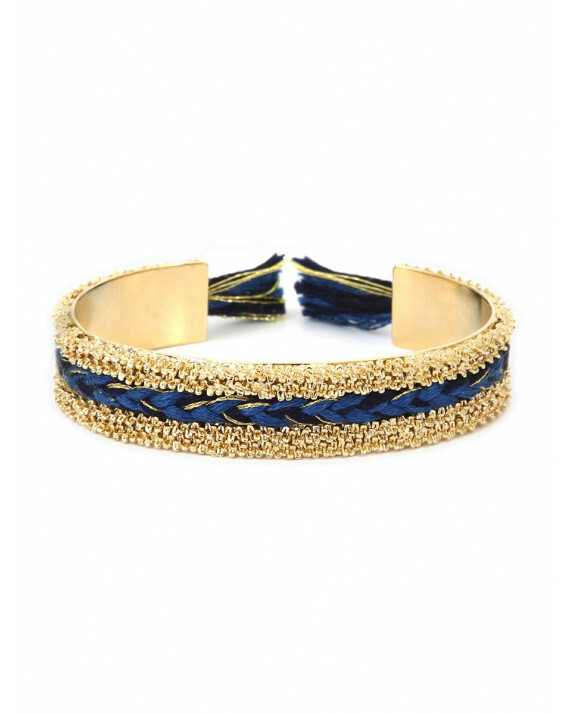 This bracelet matches with any kind of clothes. Stalactite is a french brand making its jewellery in Paris. 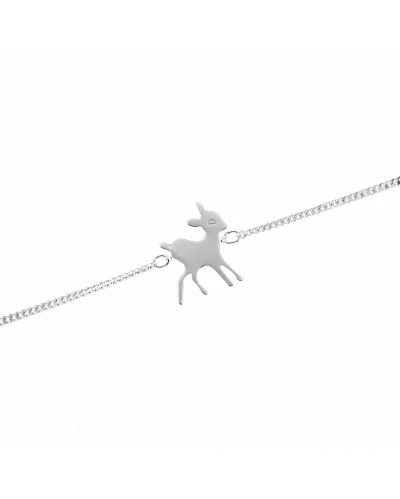 How cute is that little bracelet Bianca the doe ! You can adjust the size to your wrist easily. Bianca the doe is suitable for children and for everyone who loves nature and animals. 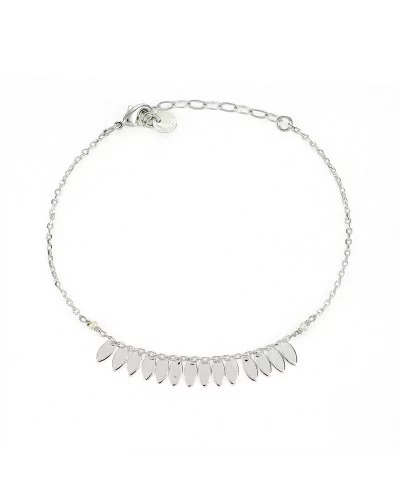 This bracelet is made in sterling silver. Naa na na naa is a french brand making its jewellery in Paris. 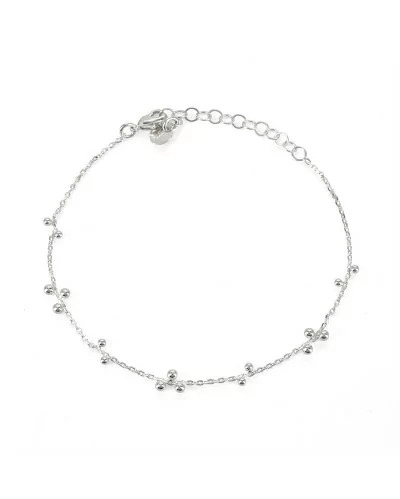 The Eternity bracelet became essential making the difference with its Swarovski crystals shades. Subtles, light and minerals colours will improve a basic outfit. You can match it with an Eternity bangle. Brass gold plated 24 carats (3 microns). Swarovski crystals. Adjustable size : 16-18cm. Handmade. Brass gold plated (24 carats), 0,5 microns. Swarovski Crystals. Adjustable size. Handmade in Paris. Lou the Owl will become your best friend. 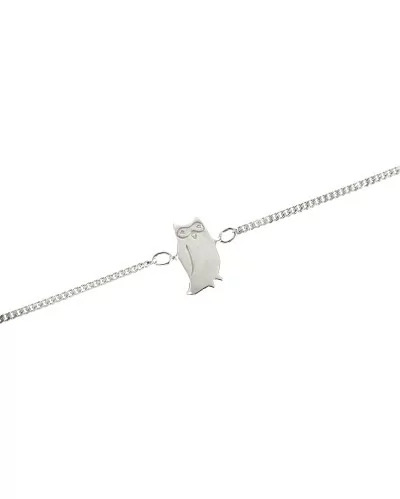 You could get this owl bracelet for yourself and one for your child to match with. 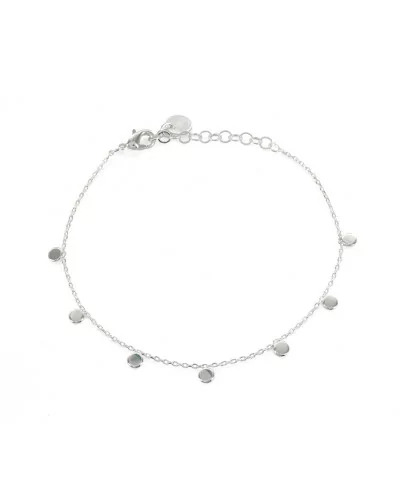 This bracelet is made in sterling silver and is very easy to adjust to your wrist. Naa na na naa is a french brand making its jewellery in Paris.